Life Tastes Good » 2011 » March - A diary of food and wine from the perspective of a passionate cook who is inspired by the colors and flavors of the changing seasons. A few weeks ago, Priti and Chirag hosted our latest Battle. Battle BEAN. Numerous menu choices set the foundation of what became an unforgettable culinary experience. Reigning course of champions, dessert, took the win again! Read on for details, and click on the photos for larger images! Manish and I were assigned the appetizer course. Favoring a theme of past, “the trio tasting,” we decided to introduce our friends to three different spins of classic “bean” preparations, all served in porcelain appetizer spoons. With a fancy vegetable peeler, we sliced green beans ever so thinly, creating an almost “shaved” result. These diagonal shavings of green beans were dressed with a sesame soy vinaigrette and topped with tiny little pieces of red bell pepper (we called it red bell pepper “roe” because it took on the look of tobiko.) Fresh, crunchy, and clean, a different spin on a green bean salad. 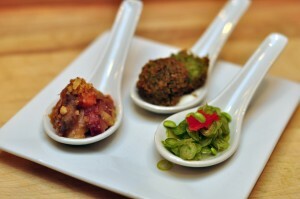 The next spoon showcased a fritter, made entirely of lima beans, herbs, and spices. This was served atop a minted yogurt. Our take of a “falafel” fritter. The last spoon was the result of three days of preparation. It all seems so silly now for just a spoon, but I guess that’s what this group is all about! Cassoulet. Made with gigante beans. Home-made duck confit, pork shoulder, garlic sausage, and slab bacon. We made sure to have a taste of every component in the spoon. Jigna’s version had a medley of vegetables, and instead of topping it with the duck confit, I made a garlic confit for her. We served this course with the Parigot Bourgogne Rouge, which I spoke of in my last post. 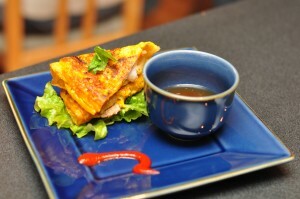 Sejal and Rick created a delicious interpretation of the traditional Vietnamese Banh Xiao. This is a mung bean pancake, with various types “fillings.” Bean sprouts and shrimp were sauteed first and then the batter was poured atop the “filling.” The crepes were then served with fresh lettuce leaves, a shmear of sriracha, and fish sauce. Jigna’s version had mushrooms in it, and instead of fish sauce, soy. The way to eat these is to wrap a piece of the crepe in a lettuce leaf, and then dip into the sauce. The flavors married so well, and the dish was a complete success. Definitely a recipe to add to the repertoire! 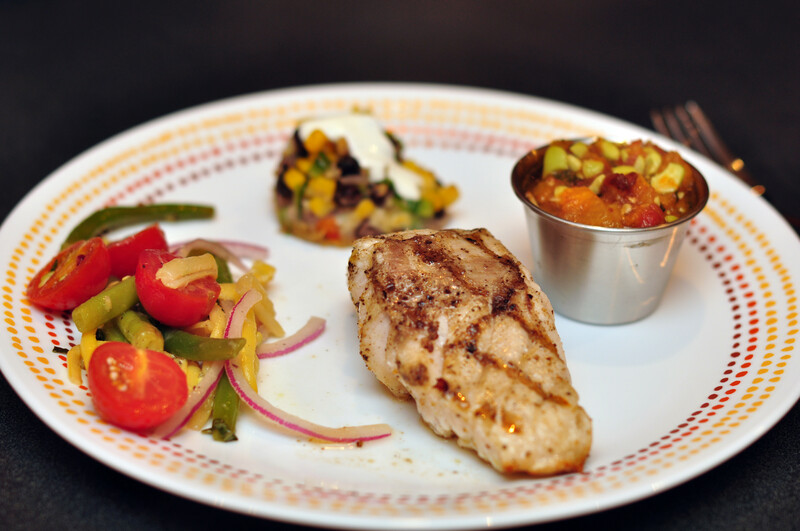 Priti and Chirag grilled some grouper, and alongside displayed a colorful array of tasty bean accompaniments. 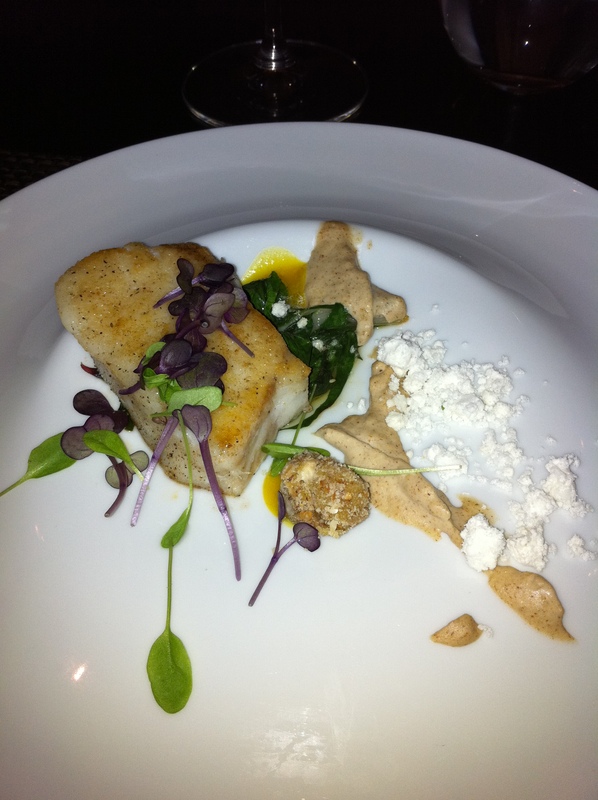 The grouper was grilled to perfection, and provided the perfect backdrop for all of the concentrated flavors around it. There was a roasted tomato and edamame sauce to accompany the fish, which added brightness and depth at the same time. Gorgeous yellow wax and green beans were combined with a red wine vinaigrette – visually and texturally just as appealing as the burst of flavor. 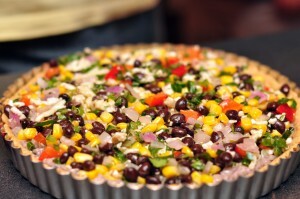 Small discs of the chili-cumin crusted black bean tart rounded out the meal with equally flavorful ingredients. The wine that they paired was the 2007 Bloomer Creek Chardonnay, Block 97. Jigna and Piyush proved once again, that thinking “outside the box” with dessert really does win the game! Their plate displayed several uses of beans. First was a berry and canellini bean smoothie “shot.” Who would have thought that this would even be palatable? It was delicious. The berry flavors shined but the texture was smooth and rich because of the beans. The whoopie pie with marshmallow filling was made with cocoa and espresso beans. This took me back to childhood… so much so that now every time I go to the grocery store, I have to stop myself from buying OREOs for the mere fact that they will NOT taste like this decadent creation! And last was the black bean brownie with home made vanilla bean ice cream. 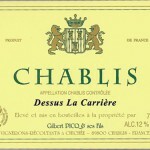 Texturally very smooth and “fudge-like,” very rich. The ice cream was the perfect accompaniment! Now, some sad news that was “discussed” during the course of the battle… The next battle MAY be our last… So, I am asking all of you foodies out there to either comment to this or send me a private message and tell me what you think a great “battle finale” theme would be!? Manish and I are hosting, and we already have some ideas. But we want this one to be grand. So all suggestions are welcome! 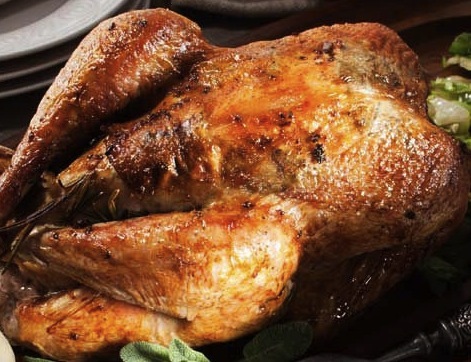 I was lucky enough to acquire a couple of wild pheasants for this meal. This sparkling wine has rich and juicy fruit, a dry finish, and enough structure to hold up to the game. I was told by my colleague to “let it go still” but the wine is too delicious to hold untouched in my glass…. Oh well. Cauliflower is something that confused me when it came to pairings. 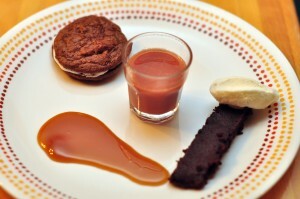 Instead of focusing on the base, I focused my attention to all of the additions to the soup for my pairing. 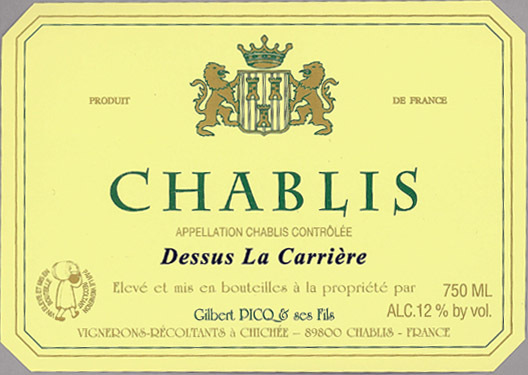 The fruit from this vineyard site result in a wine that has gorgeous minerality to it but also possesses some riper qualities making the mouthfeel a tad richer than you would expect out of a Chablis. 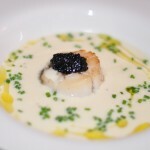 The acidity of the lemon and the brininess of the caviar paired perfectly with the mineral and racy tones of the wine; while the richness of the seared scallop complimented the fruit and weight of it. It was truly an ideal pairing! I wasn’t sure about this pairing. And even after loving the two together, I’m still unsure as to WHY it worked so well. But it did. 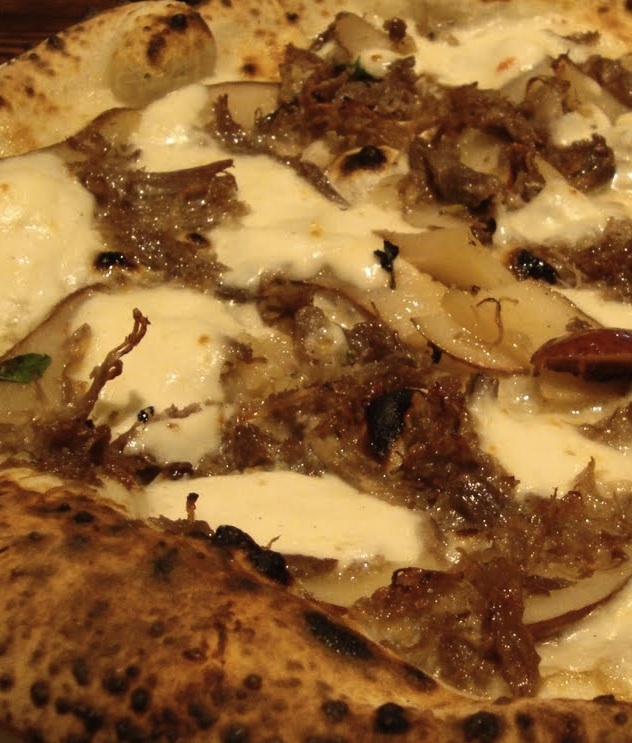 The flatbread was topped with caramelized onion, duck confit, fresh herbs, and fontina and asiago cheeses. 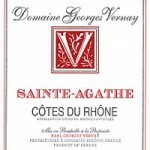 The wine is so unique being a red varietal from the Condrieu region. 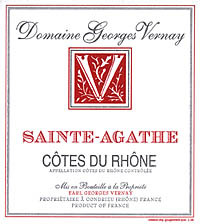 It is a really elegant Syrah with its almost floral aromatics but still possesses the dark fruit and the smoky and peppery tones that you may be expecting. All of the flavors married well, making me one happy gal. 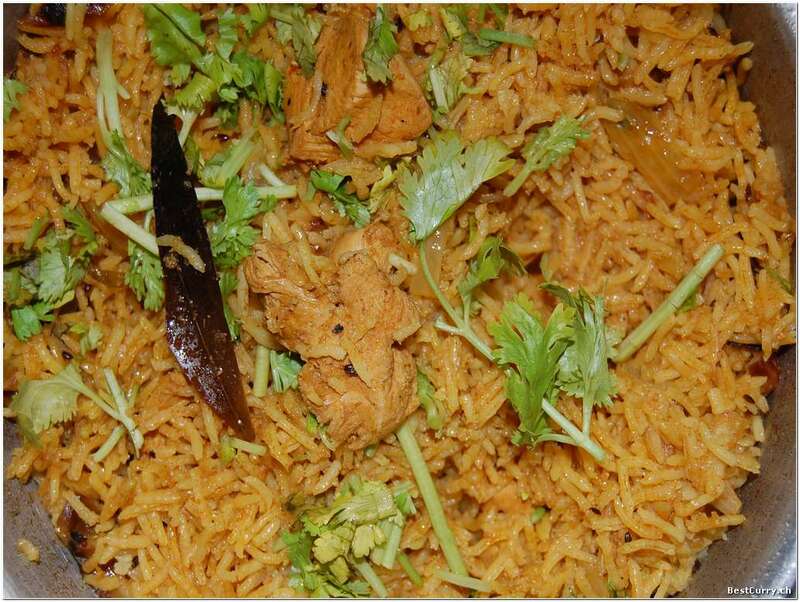 We order the Shahjahani Biryani from Neelam (Berkeley Heights) regularly. SO regularly that the folks at the restaurant now “know” us and try to throw in some other things when we order just to show us that they DO know how to cook other types of Indian food. 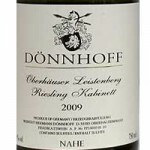 The 09 Donnhoff Oberhauser Kabinett is the perfect pairing. Showing fabulous acidity, the wine stays fresh but still contains enough RS to provide some relief from the heat of the spices of the dish. We went to elements recently (I know, so unlike us to dine there) and they served us this lovely dish. Seared Hake with an almond puree, olive oil powder, and if I remember correctly, some sort of either acacia, quince, or tropical fruit accompaniment. I forgot to take notes, so can’t be certain of that final ingredient. 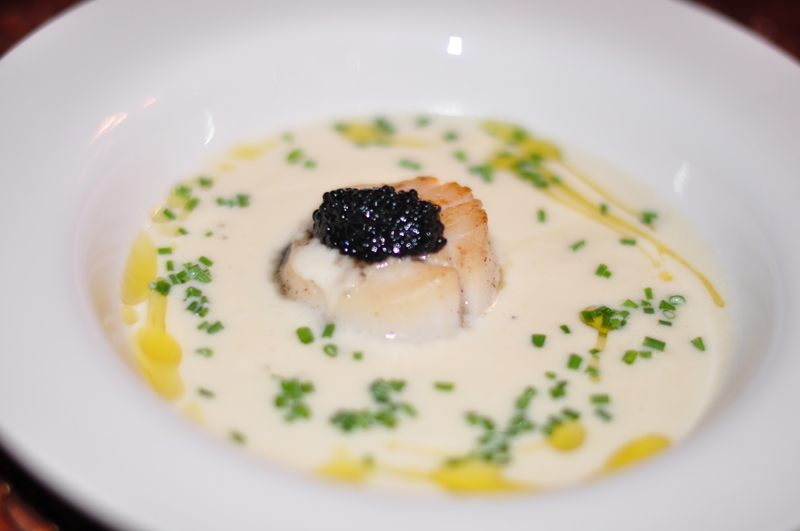 What I am certain of though is that the 85 Clos du Bourg would have been the perfect wine to drink with this dish. It’s as though Chef Scott Anderson created the dish for the wine. Tones of marzipan, and acacia round out the weight but the finish still showcases lovely acidity. 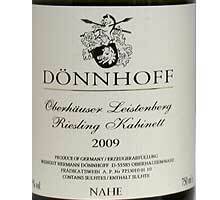 Somewhat off-dry in style, this wine would have been perfect with the Hake…. had it not been corked. 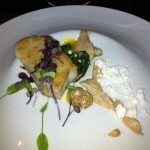 The dish was fabulous – so complex, and the flavors melded so well. Subtle flavors of almond matched the beautiful taste and texture of the fish. 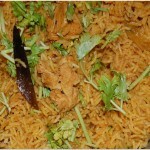 And the brightness to the dish was brought out with that honey or fruit component. (This will bother me for days now!) The olive oil powder was a really neat touch too. Despite the fact that I never actually tasted the two together, I still had to publish it here because I thought the pairing was so spot on. 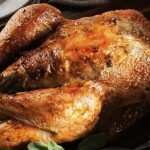 You are currently browsing the Life Tastes Good blog archives for March, 2011.